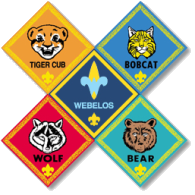 After a lengthy meeting and discussion, Pack 385's activities for the year have been set. The dates/times/information will be posted in the calendar and we will be handing out calendars at School Night for Scouting on September 5th. I hope everyone is excited and ready to have fun.